Daniela is a results-driven communications professional, highly motivated, creative, engaging and loyal. She sees possibility in every situation she faces and does an exceptional job of aligning agendas to achieve a common goal. She is one of those rare individuals who see beyond the immediate to the possible. What is your vision related to the development of the marine industry in the past few years, as you have experienced it from the perspective of a boat show organizer? The marine industry has come a long way since the global financial crisis of 2007-2008. We all had to face many challenging developments, rethink and reinvent our marketing and management strategies. We had to look at the customers and what really matters to them. The boat shows had to evolve into a social event that covers also tourism and leisure, the so-called ‘blue-sports’, chartering, entertainment, fun, fashion and other activities. Those who stayed afloat by embracing new ways of organising, managing and doing things, are now seeing green shoots emerge. Boat shows have a big impact on the global marine market. With their business orientation and elements of a partial tourism product, they play an important role in various cumulative positive effects on the economy, and so stimulating regional and global development. In the last few years the marine industry has moved from a mood of stagnation to one of strong growth. I would like to emphasize that as we move into 2018 and beyond, it’s important that we shift towards a low-carbon economy, which is already slowly reshaping the marine industry, as well as other sectors. Tomorrow’s winners in the marine market are definitely those focusing on sustainable living and ecological awareness (and thus on energy efficiency and environmentally friendly solutions). Which skills and know-how are essential to run an efficient marine exhibition project? The truth is, there is no magic or unique formula for managing a marine exhibition project, at least not that I can see. What I think it is important – to first of all find the passion and emotion for what your job is, and to inspire your co-workers with your passion. Nothing is possible without a dedicated, hardworking and efficient team. In managing the Internautica exhibition, we are constantly striving for excellence and service quality, so and that every innovation in these areas becomes our standard. We are aware of significant transformations in our exhibitors’ and visitors’ behaviours. When it comes to nautical exhibition management, apart from planning in advance, promotion and communication, following the international standards of nautical show management, and providing excellence logistics and services, the key to success lies in the details. Finding the way to become friendlier with exhibitors and find out what they value and appreciate – not just selling them – and focusing on providing high-quality experiences, entertainment, presentations, and competitions, for both exhibitors and visitors, by giving them a platform to connect with each other and achieve their business goals, as this determines if they will keep coming back and spread positive word-of-mouth about the show. How do you see the advantages of Internautica, or perhaps it’s better to ask, how can you compare your boat show with other Mediterranean shows? 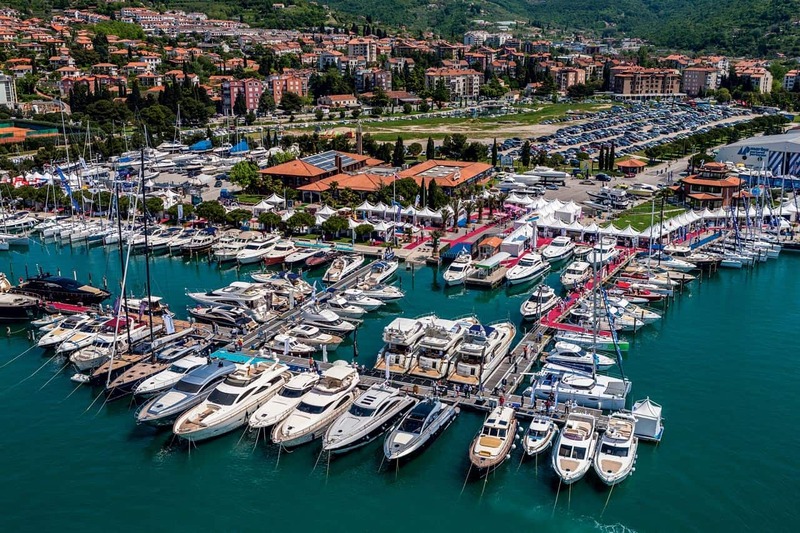 With its almost 25 year-long tradition, our boat show has become friendliest and one of the best organised in Central Europe. Internautica is dedicated to gather the leading minds of the marine industry, sea enthusiasts and a captive audience of interested prospects at the start to the nautical and summer season. Exhibitors and visitors can gain insights into many innovations and nautical novelties, learn about the latest technology, and share the latest ecological and regulatory news from across the region. Seventy percent of the Earth is covered by oceans, and climate change already threatens these and the livelihoods that depend on them, but with the right action we can prevent further damage, that’s why our boat show has long supported green initiatives – on the road, sea, water and in the air – which are helping reduce emissions, contribute to sustainable growth and accelerate economic progress. As such, Internautica is the premier boat show which promotes ecological awareness, marine conservation, and responsible boating. In your opinion, what do you think is the highest value of Internautica and do you think that the project can become larger and more substantial? I’m very proud to say Internautica gets bigger every year. 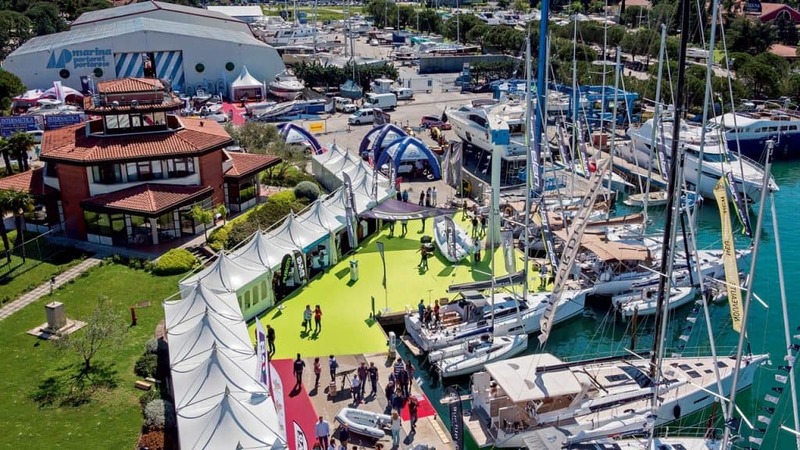 Internautica spans 35,000 square metres of indoor and outdoor space, including on-water displays, and the outdoor area has expanded every year as a result of increased exhibitor demand, especially for showcasing larger vessels. This year we had over 15,000 visitors and more than 300 exhibitors, there were 150 new boats exhibited and more than 1,000 brands. There were 20 yacht premieres – from world top yacht builders, such as Absolute, Adler, Bavaria, Cranchi, Elan, Ferretti, Princess and others – and we expect even more next season. The Mediterranean Sea attracts approximately 70% of the world charter fleet, and we can say it is the number one destination for nautical tourism. Recreational boating and water sports are becoming a matter of more common lifestyle in Europe, and are not so much a matter of prestige anymore. According to EBI, more than 6 million boats are owned in Europe and 36 million European citizens regularly participate in recreational boating activities. Since consumers need to be able to see, touch, experience and in the and compare the products, there is no better platform than boat shows where exhibitors have the chance to show all their ‘oceanic wonders’ and differentiate these from the competition. Regardless of their performance on the day, by exhibiting at Internautica and other boat shows they’re supporting their industry as a whole. Staying relevant in today’s dynamic world is tough, but because of all I’ve mentioned, and with our ongoing commitment to constant improvement, I don’t see any obstacles to Internautica becoming even more significant nautical event in near future.